What’s your opinion? Is smoking habit or addiction? The dictionary says that an addiction means being physically and mentally dependent on a particular substance. However, as human beings we are dependent on food, water and air we are not dependent on cigarettes obviously as the majority of people don’t smoke them. What the dictionary is really trying to say is that we feel dependent on a drug because it controls us. As a smoker you are not in control…….do you ever ask yourself, “Do I want to smoke today,” or “How many cigs would I like to smoke today.” You feel the need to do it every day in all circumstances but is nicotine really an addiction or is smoking simply a habit? If you fall into the trap of believing you are addicted then you will find stopping smoking difficult but the truth is that the addictive part of nicotine, the cravings and the withdrawal symptoms only amount to 1% of the addiction. That’s right 1%, the other 99% is habit but that’s not what the experts tell us or what general consensus believes to be true. If asked, “Is smoking habit or addiction,” most smokers would answer that they believed they were addicted as well as habitually dependent. Once a smoker believes they are addicted they have fallen into the nicotine trap. Because you don’t understand how the nicotine trap works you think you just got into the habit of smoking and then became addicted at which point you found the habit difficult to stop. Yet, habits are easy to break if you want to or if you know how. We drive on the left hand side of the road in the UK but have no problems switching to the right hand side when we drive abroad and switching back again when we arrive back home. 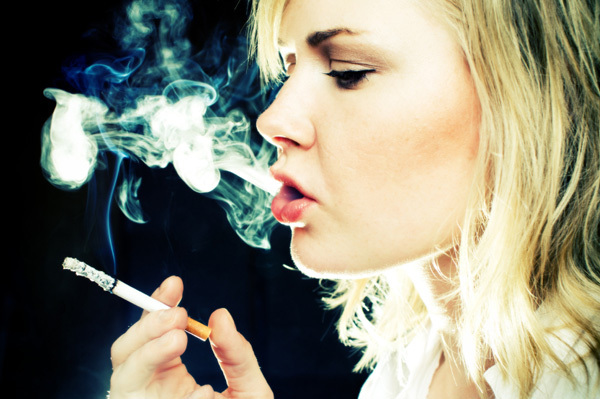 If you are ready to break your habit of smoking today then hypnosis has proved to be the number way to stop. It’s success rate far outstrips any other method there is. Don’t wait until you get diagnosed with some incurable disease, break free before it happens. To book a free 30 minute consultation ring Christine now on 01243 699646. The fact is that the habit of smoking can be broken just as easily when you work with someone who understands exactly how to help you to change your mind at a deep level. Habits are held in the subconscious mind and that’s why no amount of willpower will make a difference. Will power is a faculty of the conscious mind. When you try to stop smoking with willpower it won’t work because every time you do something that normally involves having a cigarette your subconscious mind will remind you to have one. The subconscious mind cannot speak so instead it creates the feeling of wanting one; that feeling is recognized by you as a craving. The craving is mild at first, more like a gentle reminder but if it is ignored it will become stronger and stronger. Imagine if you could leave work……get in your car……finish a meal……..get out of bed in the morning…..have a coffee…..a drink outside of the pub with friends or anything else without being triggered to having a cigarette, in the way that son-smokers do. Imagine if you could just enjoy these moments for what they are…after all that’s what non-smokers do. Well, that’s what you’ll be able to do too when you quit because you will no longer feel that you’ve made a sacrifice and therefore you won’t feel deprived. These moments then become moments of pleasure when you can congratulate yourself.